Happy Monday gals! I had a very long weekend, to say the lease, so today's post is going to be short and sweet. (Some of you might appreciate that lol). 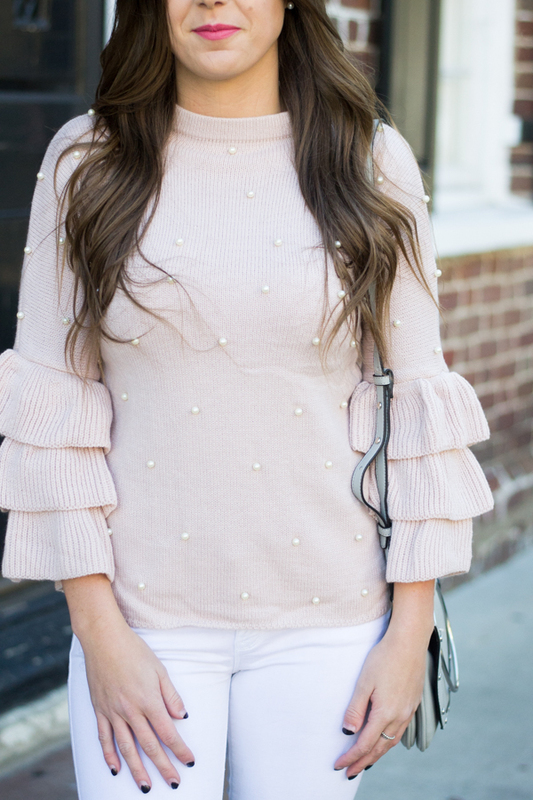 Today I'm sharing the cutest ruffles and pearls sweater that would be perfect for a casual Valentine's Day! 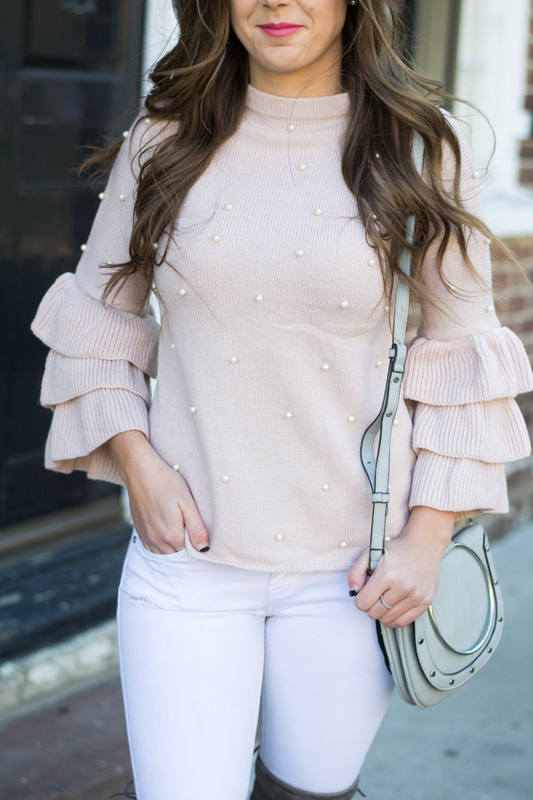 If you love exaggerated ruffles like me, this sweater is for you.. and not to mention it's on sale for only $22! MY DAUGHTER WOULD ENJOY WEARING YOUR SWEATER, JEANS AND BOOTS. PERFECT FOR HER. TO YOUNG FOR ME TO WEAR. This sweater is SO cute! I love the pearl embellishments! What a gorgeous sweater! The color is so feminine, and the pearl embellishments are amazing! I love the pearl details! I am absolutely loving your ruffled top! And the pearl details are just the perfect added feminine touch! Such a beautiful top! The ruffle and pearl details add such a great feminine flare. love love the detail of your sweater! such a great touch of feminine. Happy Monday! I love the pearl details. So feminine and chic. How cute is that sweater! 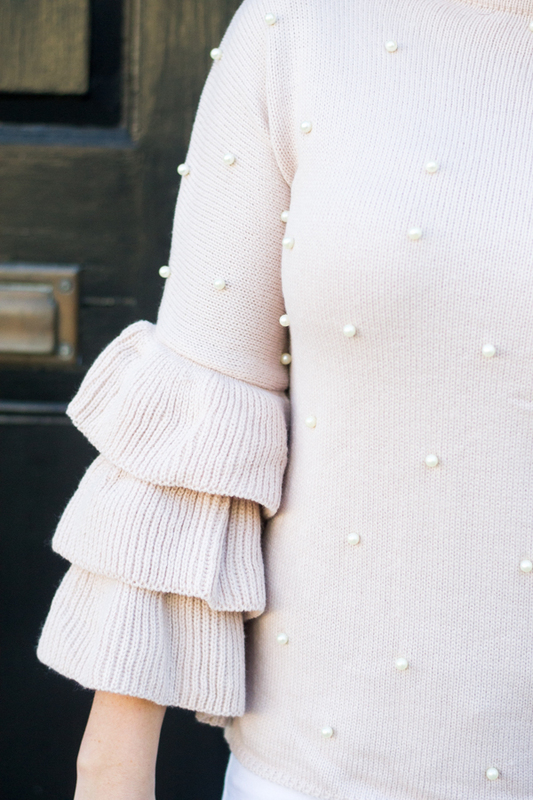 The sleeves and pearl embellishment are darling! Um that sweater is literally EVERYTHINGGGG! so pretty! Such a cute outfit! I love the purse and boots. 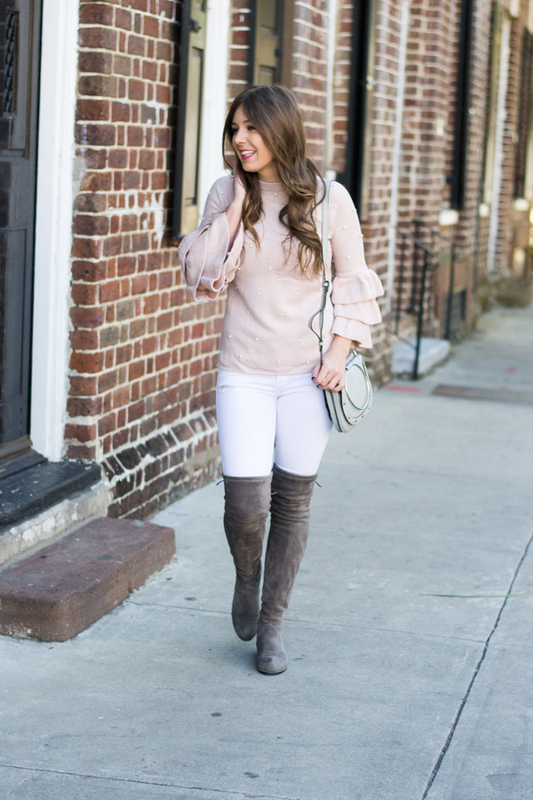 This is absolutely the ideal sweater to transition from winter into spring! The color is stunning and the style is too cute and feminine. I know you'll find lots of fun ways to wear it. Okay, I totally love this look on you! I love all the great detailing on this sweater! The sleeves and pearl detailing is so fun.